My mom bought three beautiful nail colors for me the other day at Meijer's and the colors are definitely nothing like I own. I know this is a shocker for some of my friends who believe I own every nail polish in the world. Disclaimer, I don't! She bought Cover Girl's Golden Opportunity and Bronze Beauty and a polish from the new L'Oreal Gold Dust collection called the Statement Piece. I will be posting swatches of one of these up next. These polishes are a great option from a New Year party manicure. Well, more on those polishes in upcoming posts. Now ever since I have given up nail polishes, I have picked up a new fascination - blushes. I have discovered quite a few beautiful blushes over the last several months. My mom and I had earned $20 worth of Kohl's cash. For those of you who may not know what Kohl's cash is, here is a brief explanation: once in a while Kohl's runs a special promotion, awarding $10 in Kohl's "cash" (i.e., a coupon or certificate worth $10 to be spent at Kohl's) for every $50 you spend prior to your local sales tax. This blush costs $20, so I got it for free. Free! Woohoo! Recently, Kohl's expanded its beauty department and carries quite a few popular high-end brands, such as theBalm, LORAC, and Pur Minerals. However, these brands are excluded from coupons, which I partly understand, but hope that Kohl's does create a once-a-year special coupon for these brands, like Sephora and ULTA does. One staff member in the beauty department told me that they exclude the brands from coupons because the makeup is sold at a lower original price. So, I did my research and compared the prices of a few products, but no the original price is the same. Of course Macy's, Dillard's, and Belk's also exclude cosmetics from coupons, but around Thanksgiving Belk issued a special coupon that did not exclude cosmetics. The makeup brands also hold "friends and family" sales on their own main websites, awarding 15 - 20% off and sometimes free shipping. My main point here though is to save your Kohl's cash and use it on the cosmetics because that is permitted. The packaging is a simple traditional black with a clear portion in the lid. I like that the product can be seen through the clear lid. It is a lightweight compact. The pan appears small, doesn't it? It does not bother me though. I am not one to swirl my brush. The only blush I freely swirl my brush in is Benefit's Rockateur because of its box style packaging. I dab my brush in this and apply. The circumference of the Real Techniques blush brush is about the same as the pan of this blush. So, it is not as small as it looks here in these pictures. 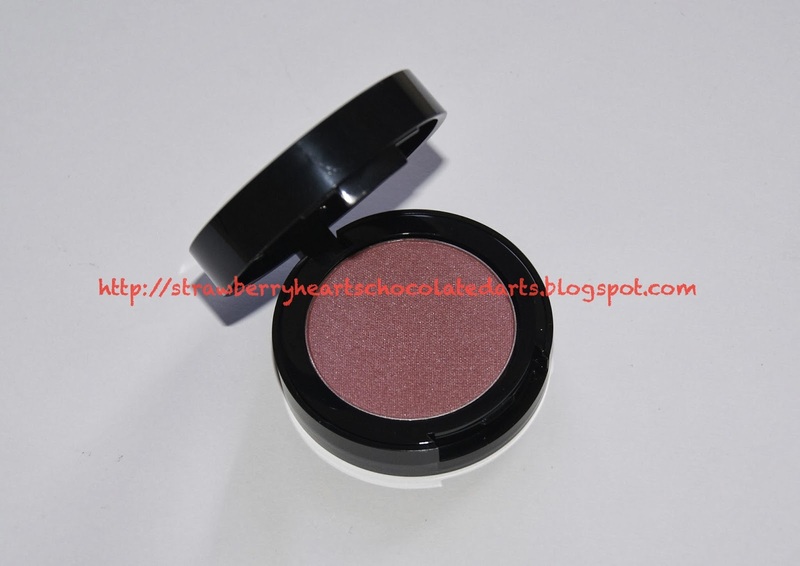 This blush is a "rosy"medium pink with subtle silver speckles, which gives off the "glow". If you look extremely close, perhaps with a mirror an inch away from your face, you can notice the silver shimmer on your cheeks. Otherwise, it is not noticeable from a normal distance, like another person won't see it unless he/she is uncomfortably close to your face. Yikes! Eek! Hold on there, tiger! I am sure this blush would look flattering on most skin-tone. 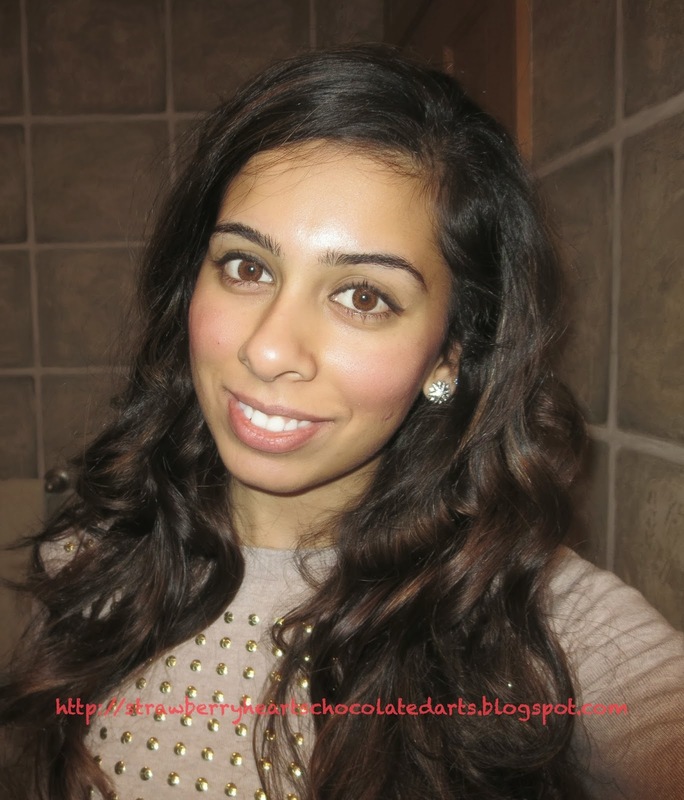 On fair to light skin-tones, this may look like a deeper true rose shade. On deeper skin-tones this shade may not show up. I think this shade would be very flattering for medium, beige, and olive skin-tones, like mine. I apply two strokes of this shade and then blend/buff it out. This blush has good pigmentation. It is not a sheer glow-from-within blush, but it is definitely not richly pigmented either. In order for blush to look just right, three things are required: (1) the right blush brush for the type of blush, (2) the right strokes and blending/buffing technique, (3) a non-dry and non-oily base. I do have the most perfect blush brush (ELLE at Kohl's). I love its shape. I have yet to master the technique of blush application. Ironically, I only like it on me when I apply it myself. I don't ever apply base makeup. So, when I say that this product applies a bit patchy, but then evens out once it settles in, take my words with a grain of salt (i.e., personal discretion). 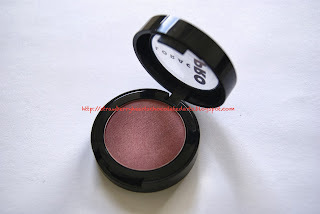 In addition to the beautiful color, I love the feel of this blush. It is very satiny and creamy. No, this is not a creme-to-powder or creme. This is a powder blush, yet it is not chalky or dry. This blush feels like a velvety powder. I would even recommend it for folks with dry skin who want to wear a powder blush, but feel forced to wear a creme blush because of their skin-type. My mom does not wear makeup and her style is simple and subtle. She adored this blush on herself. My mom is a shade lighter than me, but with more of a yellow undertone. One of my friends asked my recommendation for a work-appropriate blush. I recommend this and it ended up suiting her the most out of any others we tried on her. She is a shade or two lighter than me with a more yellow undertone. For now I do not feel comfortable commenting on the exact staying power of this blush. I may add an update later on. I am sorry to say, but it does not live up to its 12 hour claim. It might stay on that long if you apply a face primer or foundation to give it a base to adhere to. On me it lasted early afternoon (2-ish) to late evening (7-ish), but the flush-effect wore off into a very subtle hint of color. That color is gorgeous! 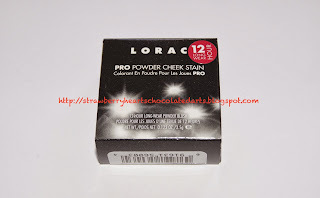 I haven't tried any Lorac pro blushes but now I want to! Gorgeous!!!! I will keep an eye out for this one!